On March 7th, 2019, ACIR was honored to host Former KGB Sleeper Agent Jack Barsky in Atlanta. Barsky spoke on the topic, "A 'Conversation' with a Former Soviet KGB Sleeper Agent." 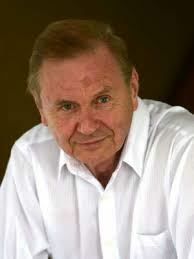 Jack Barsky spoke about how American life led to the conversion of his Marxist-Leninist atheist ideologies, and turned him against his former paymasters. He shared with the audience his perspectives and insights about recent American presidents, the American system, its most cherished documents, and America’s deadliest threat in 2019. 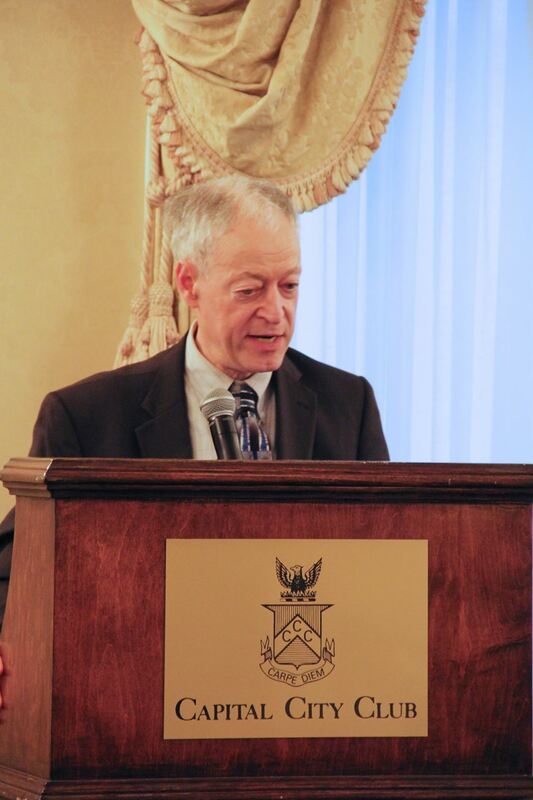 On February 28th, 2019, ACIR was honored to host Estonian Ambassador Jonatan Vseviov who spoke on the topic, "Estonia, Russia, and the United States." The Ambassador of Estonia gave an enticing overview of Estonian history and explained the origins of their current policies. Ambassador Vseviov emphasized Estonia's reliance on international alliances and cybersecurity. He assured the audience that Estonia's future policies will revolve around supporting its allies and NATO overall. On February 27th, 2019, ACIR was honored to host UK Consul General Andrew Staunton for an "Off the Record" breakfast. With Brexit looming and the the Transatlantic Trade and Investment Partnership coming to an end, UK Consul General Andrew Staunton was able to connect with our members to explain to them his perspective on the issues. This program offering by the ACIR is designed to bring members and non-members alike into a more intimate setting with Atlanta's resident Consul Generals where relationships can be made and strengthened for mutual benefit. On February 7th, 2019, ACIR was honored to host Col (USAF. Ret.) John W. Clark, former RF-4 pilot and Vietnam War prisoner, who spoke on the topic, "Six Years in a North Vietnam Prison Camp." Nearly 600 American servicemen struggled as Prisoners of War in North Vietnam. One of them was Colonel John Clark. He gracefully spoke about how courage, determination, faith, and honor helped them survive. A riveting story-teller, Colonel John Clark kept the audience on the edge of their seats as they intently listened to his detailed stories illustrating the horrors that war entails. He was able to deliver a speech with paramount importance while also bringing laughter and light to the situation–a task difficult for most to execute. U.S.-Indian Relations Featuring the New Indian Ambassador to the U.S.
On January 30th, 2019, ACIR was honored to host the new Indian Ambassador to the United States, Harsh Vardhan Shringla, who spoke on the topic, "U.S.-Indian Relations." Ambassador Shringla spoke about the current and future bilateral relationship between India and the United States. With 1.3 billion people, India is the ninth largest goods trade partner with the U.S. with room to expand that relationship. The new Ambassador highlighted the importance of continued cooperation between the U.S. and India. He also emphasized his continued consideration of the ever-growing Indian population in the U.S. With distinguished guests such as Ambassador Andrew Young and Consul General of India Dr. Swati Kulkarni, the members and special guests engaged in a compelling discussion about U.S.-Indian relations. On January 23, 2019, ACIR was honored to host Dr. Kenneth Stein, Director of Emory University's Middle East Research Program, who spoke on the topic, "The U.S. and the Middle East: Policies Amidst a Fragmenting Region." Since the “Arab Spring” the Middle East has been in political turmoil. Among other things, we have seen a rise sectarian and tribal formations, as well a resurgence of Iranian efforts to influence events in the region. For Israel, such changes pose a significant challenge. In the absence of an evident path to stability and security in the region, the recent decision of the United States to end its military commitment in Syria, further limit its military commitments in Afghanistan, and the resultant perceived U.S. declining interest in the region, Israel is increasingly looking to work with others in the region to enhance its security. Professor Kenneth Stein addressed the policy issues confronting the United States and the region as they attempt to deal with the increasing fragmentation and political turmoil in the Middle East. 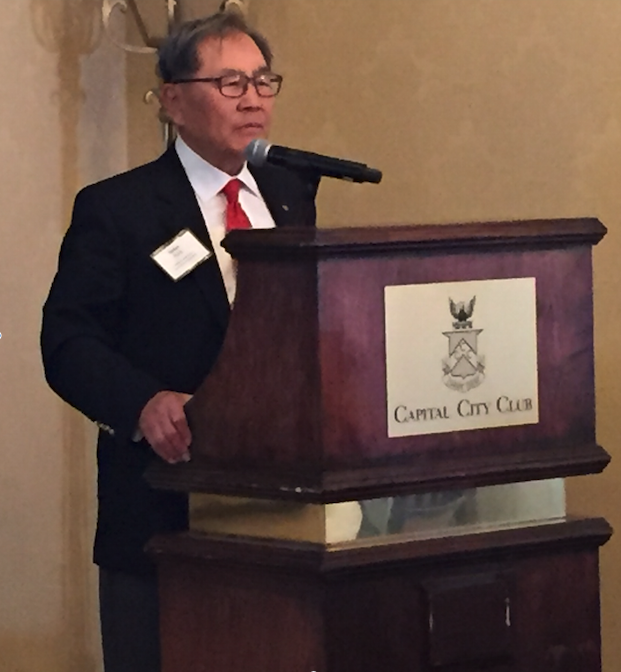 On January 11, 2019, the Atlanta Council on International Relations proudly hosted Lieutenant General In-Bum Chun who spoke on the topic "North Korea and the Future of Security on the Korean Peninsula." General Chun had much to say about North Korea's "Supreme Leader," Kim Jong Un, and his nuclear ambitions. Is Kim stalling and buying time with the current American and South Korean administrations while he continues his march toward completion of a nuclear tipped missile? General Chun's review of past European and American administrations as well as the current one was proven to be a most interesting one. General Chun is the first South Korean officer since the Vietnam War to be awarded the U.S. Bronze Star, and in 2016, he received the U.S. Special Operations Command Medal. General Chun left no misunderstandings about his positions regarding threats on the Korean Peninsula and what realistic options face the United States and South Korea. On December 14, 2018, the Atlanta Council on International together with the Sam Nunn School of International Affairs were honored to present French Consul General Louis de Corail for an "Off-the-Record" breakfast. Mr. de Corail took over as Consul General of France in Atlanta on August 15, 2016. He began his career within the Ministry of Foreign Affairs and International Development in 1990 after two years of national and civil service as an international volunteer in Monrovia, Liberia. De Corail previously held various positions including Secretary and Counselor at the French embassies in Suva (1990 to 1993), Zagreb (1999 to 2002), Dublin (2005 to 2008), and Oslo (2008 to 2012). He also served as Press Counselor in Ottawa. At the Central Headquarters in Paris, he worked in Protocol (1993 to 1996) as well as in the Office of European Cooperation (1999 to 2002). From 2012 to 2016, he was seconded to the City Hall of Bordeaux as the Director of International Relations. "U.S. Space Policy and National Security"
Dr. Borowitz recently returned to the Sam Nunn School of International Affairs at the Georgia Institute of Technology after serving a one-year detail at NASA Headquarters in Washington, D.C. Her research deals with international space policy issues, primarily international cooperation in Earth observing satellites, and satellite data sharing policies. She also looks at international trends in commercial remote sensing and civil-military interactions in remote sensing technology and data. Her research interests extend to human space exploration strategy and developments in space security and space situational awareness. ACIR was honored to host Canadian Consul General Nadia Theodore for an "Off-the-Record" breakfast. 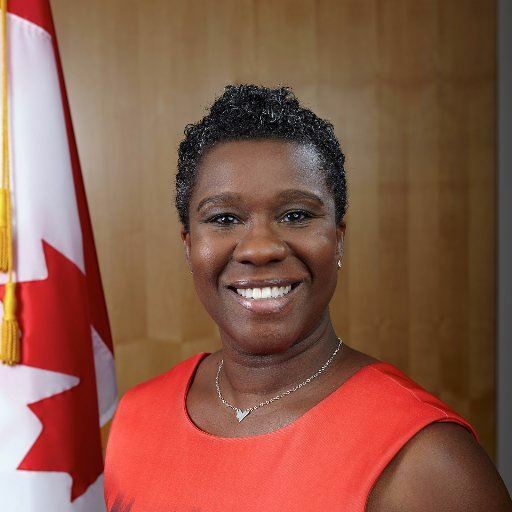 Mrs. Theodore has made her career in the Trade Agreement and Negotiations Branch of Global Affairs, holding leadership positions in several recent and major trade initiatives of Global Affairs Canada. Most recently, she served in Ottawa as Chief of Staff and Executive Director to Canada's Deputy Prime Minister for International Trade. She was named Consul General for the U.S. Southeast in August 2017. With over 10 years of trade policy experience, Mrs. Theodore's appointment comes as Canada, Mexico, and the United States have launched negotiations to modernize the North American Free Trade Agreement (NAFTA). As part of Canada's international trade negotiating team, she has built a reputation for forging strong partnerships with government and business leaders and managing complex, priority trade initiatives. Beyond trade negotiations, she helped Canada's Trade and Investment Strategy, which is focused on ways to continue to help Canadian companies connect, compete and grow internationally. 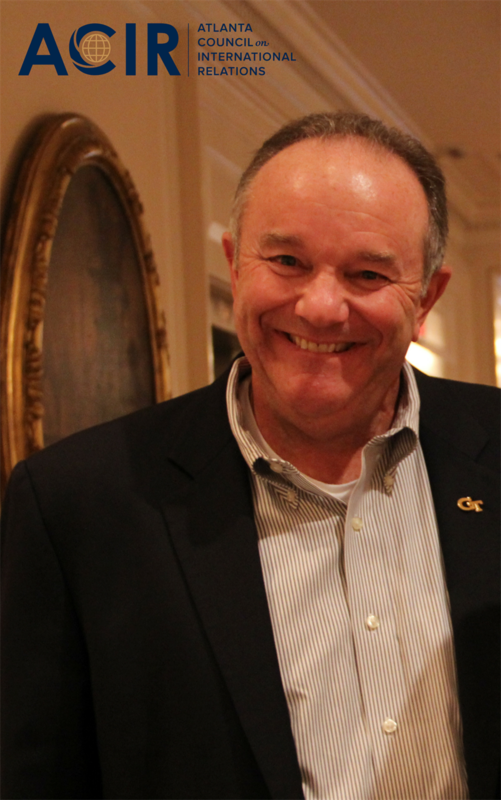 ACIR was honored to host retired General Phil Breedlove who spoke on the topic, "21st Century Warfare. "It can be said that modern warfare differs from what many of us observed in the 20th Century.Technological developments have made for more rapid, efficient, and effective communication on the battlefield. The global media, the Internet, and social media often add instantly to our awareness of conflicts around the globe. Drones, operated far from the battlefield, are replacing aircraft as a means of reconnaissance and attack. While precision weaponry, arguably, has reduced collateral damage and non-combatant deaths, the battlefield itself has become less opaque and thus a more deadly place. General Breedlove joined the Sam Nunn School of International Affairs at the Georgia Tech Institute of Technology after retiring as NATO's Supreme Allied Commander in Europe and the U.S. European Command Commander. In these capacities he commanded all U.S. and Allied troops in Afghanistan, Kosovo as well as all NATO operations across Europe and the Mediterranean. As a Distinguished Professor, a title he shared with Sam Nunn, he works with faculty, staff and students on security issues and policy. Further, he facilitates a number of projects, classes and presentations to advance these same thoughts. General Breedlove brings a wealth of deep and recent experience in our world's toughest security and policy issues as well as leadership in situations spanning both peace and conflict. 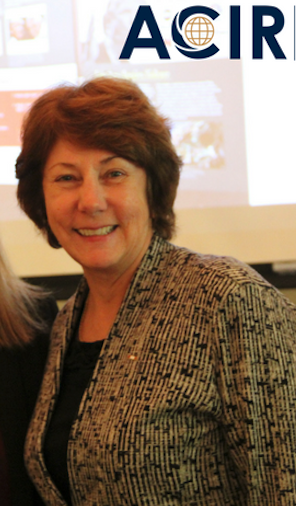 Keeping the Genie in the Bottle"
ACIR was honored to host Ambassador Ms. Peri Lynne Johnson, Legal Advisor and Director of the IAEA Office of Legal Affairs, who spoke on the topic, "Nuclear Safeguards and Nuclear Security: Keeping the Genie in the Bootle." Headquartered in Vienna, Austria and establish in 1957, the International Atomic Energy Agency (IAEA) seeks to promote the peaceful use of nuclear energy, and to inhibit its use for any military purpose, including nuclear weapons. Though establishing independently of the United National through its own international treaty, the IAEA report to both the General Assembly and the Security Council. During her address, Ms. Johnson spoke about the complexities IEAE confronts and its major concerns as it attempts to ensure and enhance nuclear safety and security. 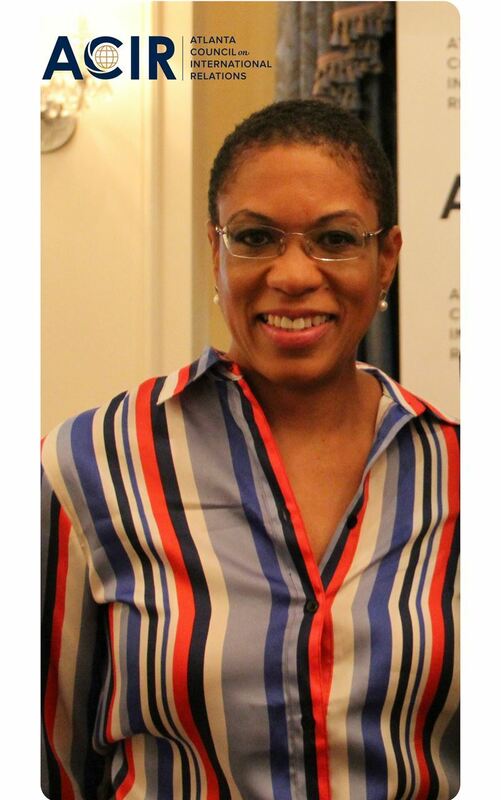 Ms. Johnson joined the Office if Legal Affairs of the IAEA in January 2011. Previously, she served as the Director of the Legal Support Office, Bureau of Management, of the United Nations Development Programme (UNDP). Ms. Johnson earned her B.A. in French Literature (with a focus in Government and International Relations), with distinction in all subjects, from Cornell University in Ithaca, New York, USA in 1988, and her Juris Doctor from Harvard Law School in Cambridge, Massachusetts, USA, in 1991. 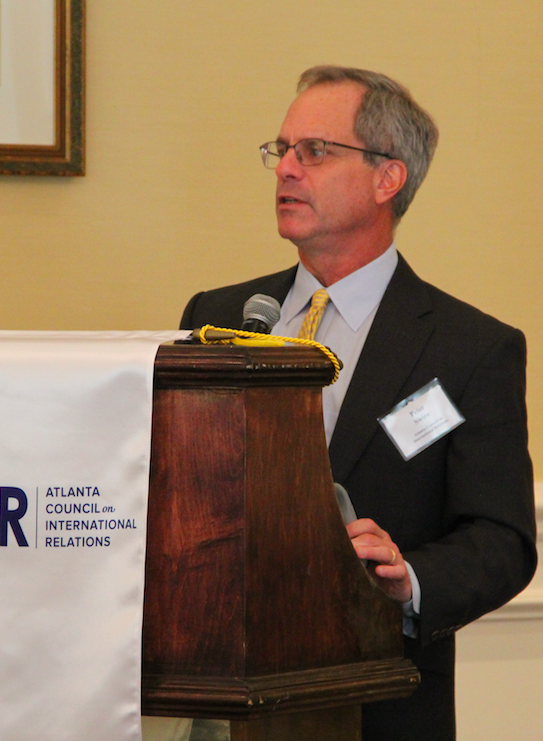 "Venezuela: From Bad to Worse"
ACIR was honored to host Ambassador Charles Shapiro, President of the World Affairs Council of Atlanta and former U.S. Ambassador to Venezuela, who spoke on the topic, "Venezuela: From Bad to Worse." Nowadays, Venezuela is in political turmoil. Its economy has collapsed and four million Venezuelans have fled the country in the past two years. As Venezuela goes from bad to worse, the question is what will the international democratic community do to alleviate the humanitarian crisis and hasten the return of democracy? U.S Ambassador Charles Shapiro discussed Venezuela's recent past and probable future as it affects U.S. policy toward Venezuela and the broader Latin American region. "Securing Our Common Future: an Agenda for Disarmament"
ACIR was honored to host High Representative Ms. Izumi Nakamitsu, the sitting Undersecretary General for Disarmament Affairs at the United Nations, on June 25, 2018. In light of a deteriorating international security environment, including a return to Cold War tensions, and the seeming neglect of arms control as a means for building trust, mitigating risk and ensuring sustainable peace and security is front and center on Ms. Nakamitzu's agenda. During her address, she presented hers and the UN's thoughts on issues surrounding weapons of mass destruction and other strategic weapons, conventional weapons and their impacts on civilians, and on future technologies and weapons systems. Ms. Izumi Nakamitsu assumed her position as Undersecretary General and High Representative for Disarmament Affairs on 1 May 2017. Prior to taking on this post, Ms. Nakamitsu served as the Assistant Administrator of the Crisis Response Unit at the United Nations Development Programme (UNDP) since 2014. "The Rise of Islamic Politics in Turkey"
ACIR welcomed Dr. Mona Tajali who spoke on "The Rise of Islamic Politics in Turkey." 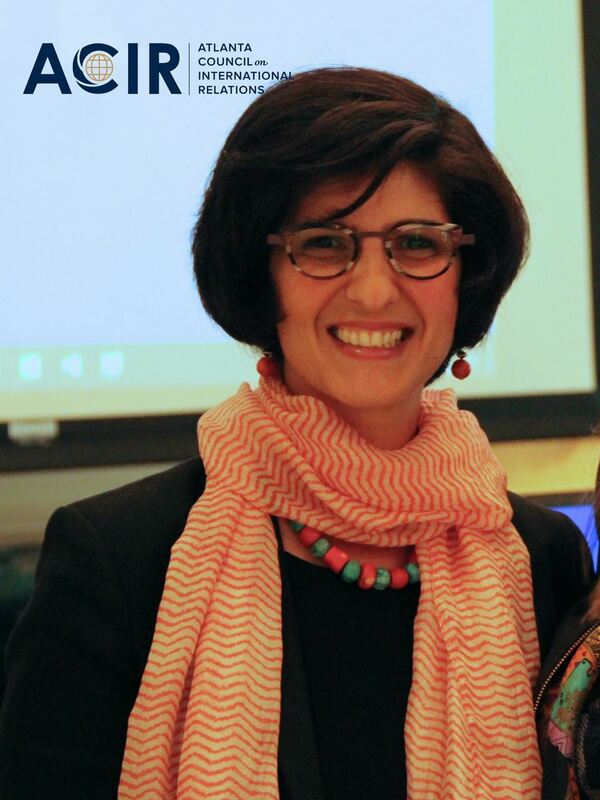 Dr. Mona Tajali is an Assistant Professor of International Relations and Women's Studies at Agnes Scott College. Her research and teaching interests fall in the fields of Comparative Politics, Middle East Studies, and Women's Studies. Coming from an interdisciplinary background, she teaches courses in women and politics, Middle East politics and society, human rights, and international relations. Her current book project focuses on the intersections of political and institutional structures, religious and cultural norms and values, and votes behavior concerning women's political representation and the quality of democracy in Muslim contexts. This new program offering by the ACIR is designed to bring members and non-members alike into a more intimate setting with Atlanta's resident Consul Generals where relationships can be made and strengthened for mutual benefit. Javier Diaz de Leon is a member of the Mexican Foreign Service and holds the rank of Ambassador since April 28th, 2017. During his professional career he has served as: Deputy Consul General in San Diego; Deputy Consul General in New York, Head of the Office for Migration and Hispanic Affairs at the Mexicans Abroad at the Mexican Embassy in the United States and Executive Director of the Institute for Mexicans Abroad at the Mexican Ministry of Foreign Affairs. On May 2016, he was appointed by President Enrique Peña Nieto as Consul General of Mexico in Atlanta, Georgia, where he is serving in this positinon since June 18, 2016. 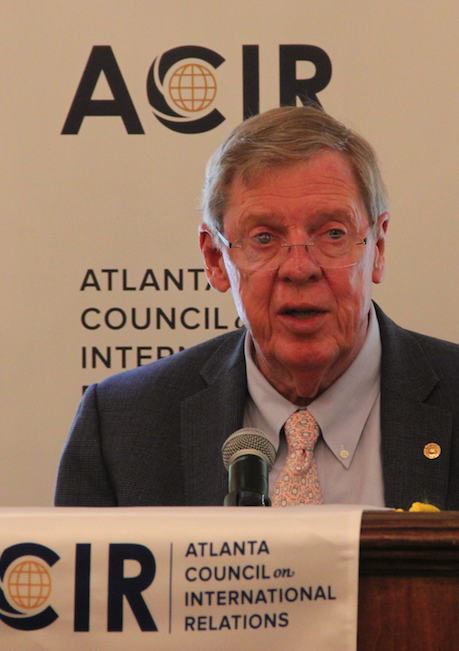 "Global Issues & Challenges Facing the United States"
Senator Johnny Isakson shared his insights on the challenges and seismic shifts in global power distribution that are facing the United States today. Senator Isakson is a successful businessman with 40-plus years in the real estate industry who has built a respected record of public service to Georgia and the nation. He also holds the distinction of being the only Georgian ever to have been elected to the state House, state Senate, U.S. House and U.S. Senate. In 2016 he became the first Georgia Republican ever to be elected to a third term in the U.S. Senate. He is the chairman of two Senate committees, the Ethics and Veterans' Affairs Committees, and serves on the Senate Health, Education, Labor, and Pensions Committee, the Senate Finance Committee, and the Senate Foreign Relations Committee. "The Information Apocalypse: Factors degrading the effectiveness of mass communication in reaching influencer audiences"
Major General Eder is the former Commanding General of the U.S. Army Reserve Joint and Special Troops Support Command, former Deputy Chief of the Army Reserve and former leader of the Army Reserve Ambassador Program. 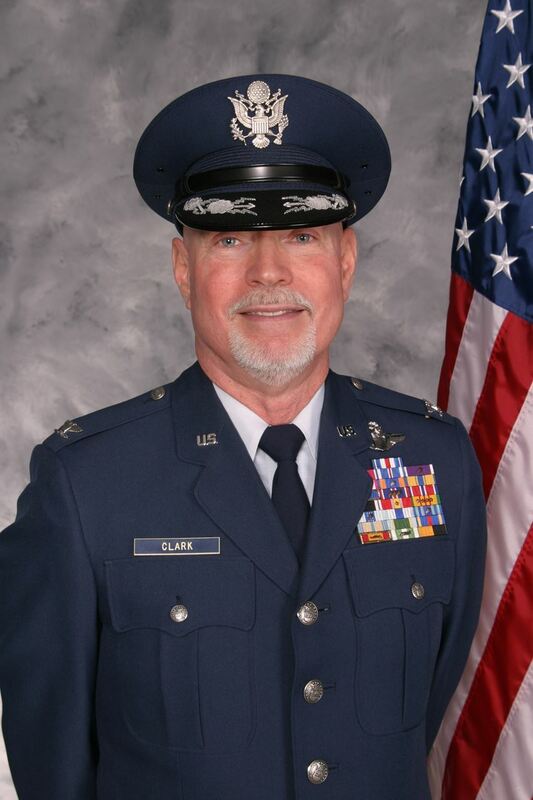 Major General served as Director of Public Affairs at the George C. Marshall European Center for Security Studies and as an adjunct professor and lecturer in communications and public diplomacy at the NATO School and Sweden's International Training Command. In 2017, she was inducted into the Army Public Affairs Hall of Fame and received the Joe Galloway Lifetime Achievement Award for excellence in strategic communication. Major General is the author of "Leading the Narrative: The Case for Strategic Communication," published by the Naval Institute Press. "A Changing Europe in an Uncertain World"
This conference takes stock of the European Union's role in the world at a time of internal and external challenges. The United Kingdom's decision to leave the EU will have implications both for what the EU tries to achieve beyond its borders and how effective it is in realizing those objectives. At the same, the new United States Administration has created unprecedented uncertainty about the future of the transatlantic relationship and about the US's tole in the world more generally. These dramatic shocks occur against a backdrop of China's continued rise and Russia's assertiveness, both of which contribute to an increasingly turbulent international environment. "The Clash of the U.S and the E.U on Privacy and National Security"
Mr. Swire is Senior Counsel with Alston & Bird and the Elizabeth and Tommy Holder Chair of Law and Ethics at the Georgia Tech Scheller College of Business. In 2015, the International Association of Privacy Professional awarded him its Privacy Leadership Award. In 2013, he served as one of five members of President Obama's Review Group on Intelligence and Communications Technology. Under president Clinton, Swire was the Chief Counselor of Privacy, in the U.S Office of Management and Budget. "J Street and the Fight for the Two-State Solution"
Mr. Elsner is a special advisor to the president of J Street and has had a long career at the top ranks of American and international journalism prior to joining J Street. As State Department and later White House correspondent for Reuters News Agency, Mr. Elsner traveled the world with Secretaries of State and was on first-name terms with Presidents and Vice Presidents. Mr. Elsner provided his views on efforts to achieve peace between Palestinians and Israelis through a two-state solution. "Addressing the North Korea Dilemma: An American Perspective"
Mr. Park is the CEO of General Building Maintenance. He founded GBM in 1983. Under the motto “Zero Defects is Our Goal,” GBM became one of the top private commercial cleaning services providers in the United States and was awarded as one of the "Fastest Growing Companies" in Atlanta. 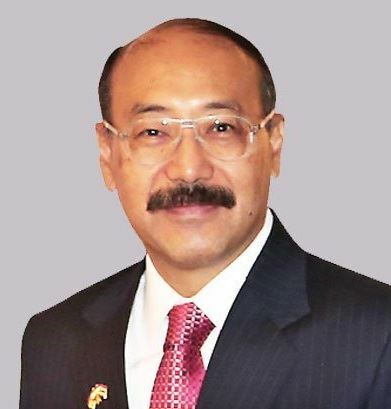 A native of South Korea, Sunny immigrated to the United States in 1974 with no money who now, as an indicator of his business acumen, has successfully achieved his goal of paying $1 million in annual income tax. "Russian Strategic Culture and Nuclear Weapons"
Dr. Polina Sinovets is an associate professor in the international relations department at Odessa I. Mechnikov National University, Ukraine. From 2004 to 2012 she was a senior research associate at Ukraine’s National Institute for Strategic Studies. She has published several dozen articles on nuclear deterrence, disarmament, missile defense, and nonproliferation in Ukrainian, Russian, and English. In 2004 she received a doctorate in political science from the Institute of World Economy and International Relations in Kiev. "The North American Partnership: Looking Ahead"
Ms. Theodore has made her career in the Trade Agreement and Negotiations Branch of Global Affairs, holding leadership positions on several recent and major trade initiatives of Global Affairs Canada. Most recently, Ms. Theodore served in Ottawa as Chief of Staff and Executive Director to Canada’s Deputy Minister for International Trade. She was named Consul General for the U.S. Southeast in August 2017. As part of Canada’s international trade negotiating team, Ms. Theodore has built a reputation for forging strong partnerships with government and business leaders and managing complex, priority trade initiatives. 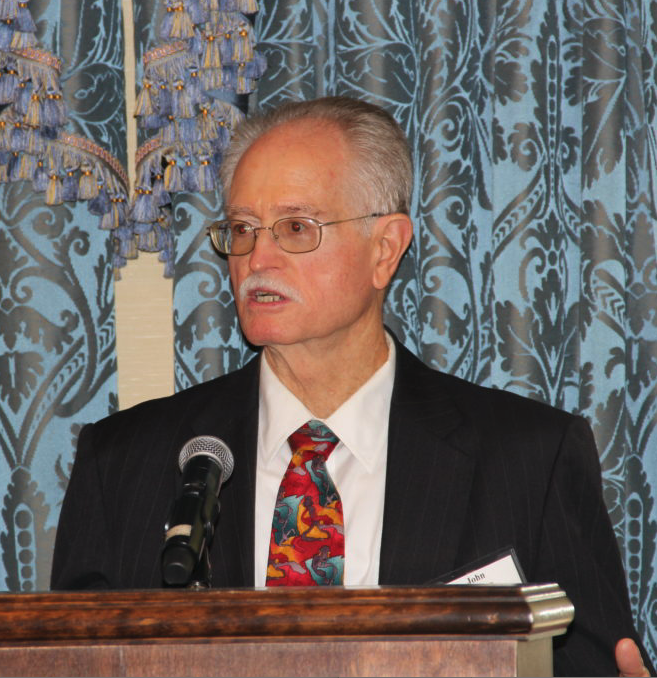 "The Rise of China and Iran"
Dr. John W. Garver specializes in China's foreign relations. He served for many years on the editorial boards of the journals China Quarterly, Journal of Contemporary China, Issues and Studies, and Asian Security. 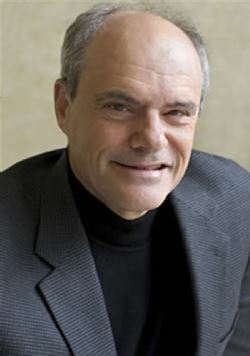 He is a member of the National Committee on U.S - China Relations and is an author of twelve books and seventy-five referred articles and book chapters dealing with China's foreign relations. "Recent Developments in the Middle East"
Ambassador Varnai Shorer is a nearly 40-year veteran of the Israeli diplomatic corps. She is a former ambassador to both Hungary and Bosnia-Herzegovina as well as a former minister of congressional affairs at the Israeli Embassy in Washington, DC. Her most recent post was desk director at the Center for Policy Research. Ambassador Shorer has substantial experience in the U.S. and the Middle East. She speaks Hebrew, French, English and Hungarian and was born in Beer Sheva, Israel. 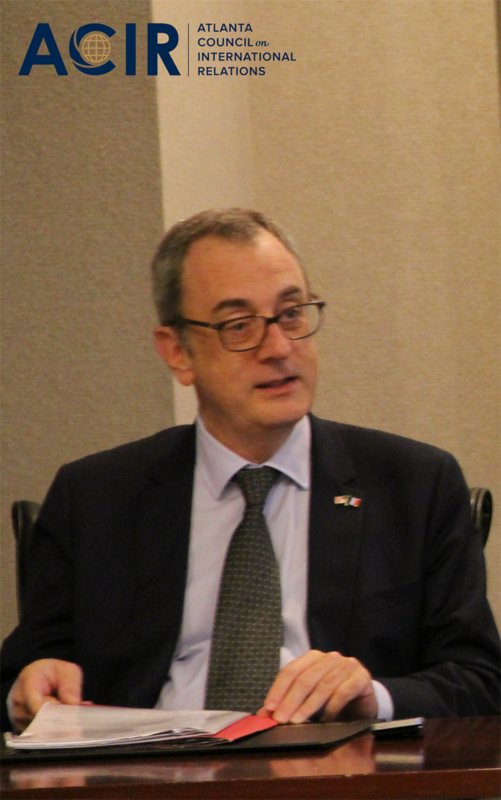 "Current Assessment of the Mexican-American Bilateral Relationship"
His Excellency Gerónimo Gutiérrez has been Ambassador of Mexico to the United States since March 2017. Ambassador Gutiérrez served as Managing Director of the North American Development Bank (NADB) headquartered in San Antonio, Texas. Under his leadership—centered on strategic planning, business development and project management—NADB grew its loan portfolio at an average annual rate of 32%, reaching US$1.4 billion in 2016, and placed several successful bond issues in the U.S. and European markets, while maintaining a strong financial position and AA credit ratings.